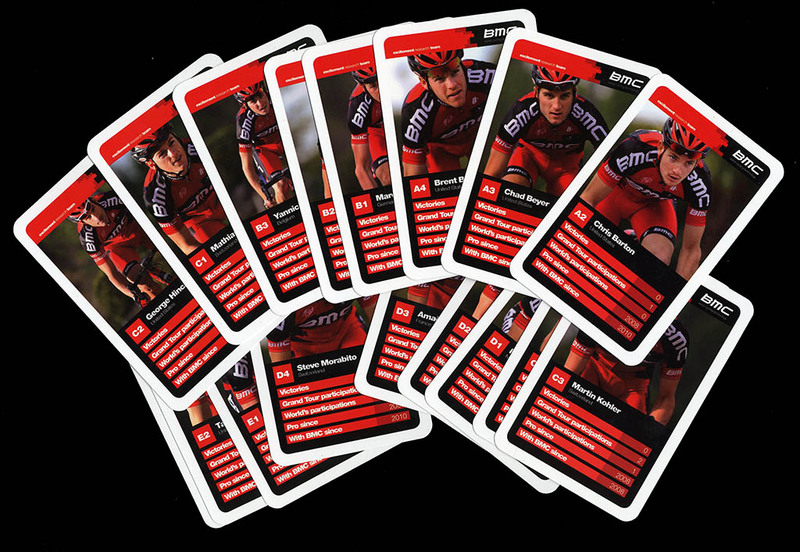 Another pro-team-sponsored card game, in this case a Top Trumps (highest values) game featuring BMC's 2011 riders. 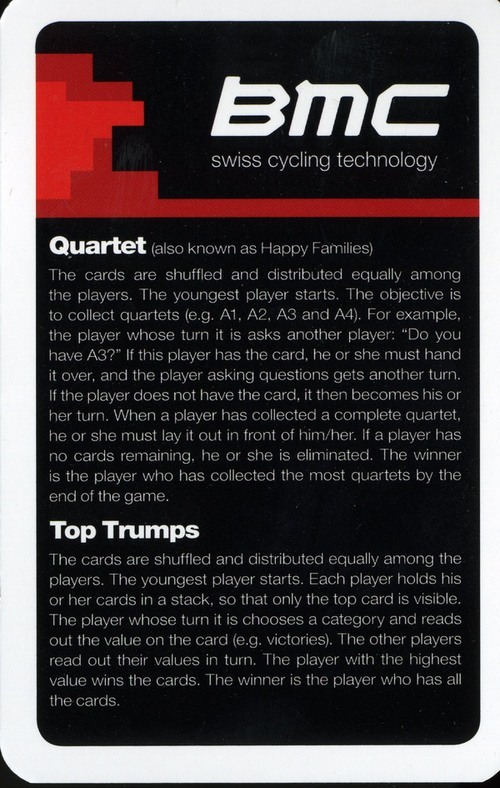 The game can also be played as a "Happy Families" game. 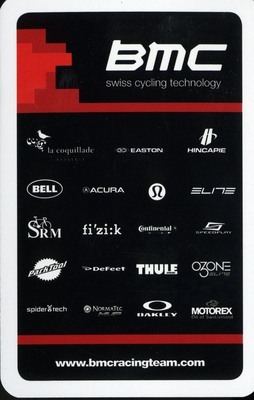 This game does not have a box, as far as I know. 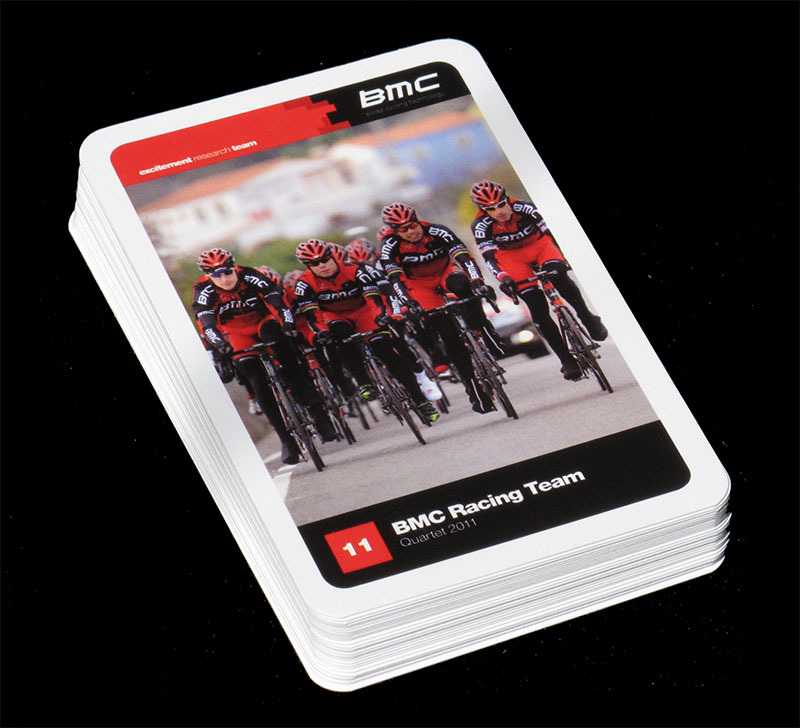 The deck was probably simply shrink-wrapped and distributed as a gift. 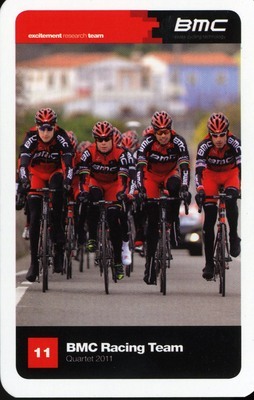 However the last card (featuring the team's bike) cannot be used for the Top Trumps game.